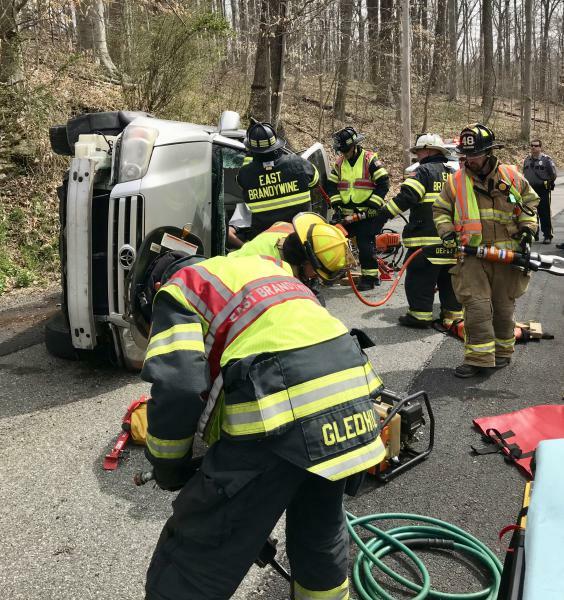 On the morning of Tuesday April 24th Engine 49-1 and Deputy 49 responded to assist the Glen Moore Fire Company on an auto-accident with entrapment. 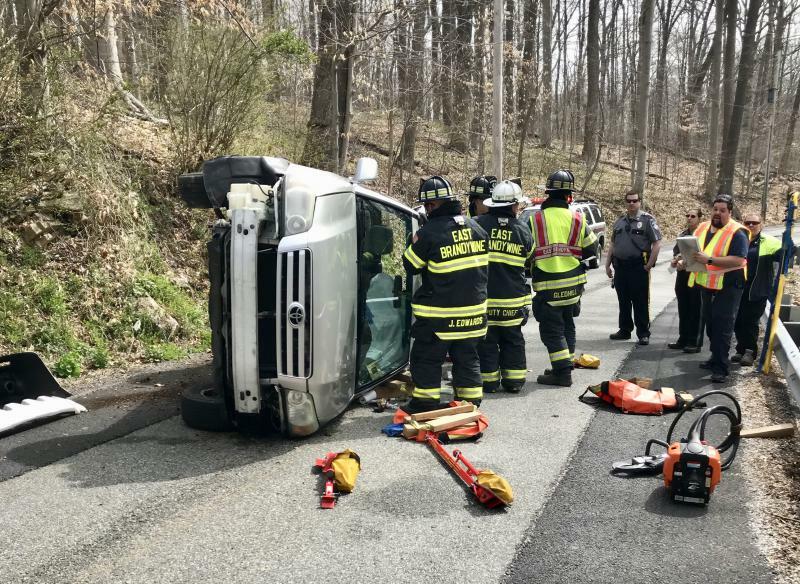 Deputy 49 arrived on location and confirmed that there was one vehicle on its side with one occupant trapped. 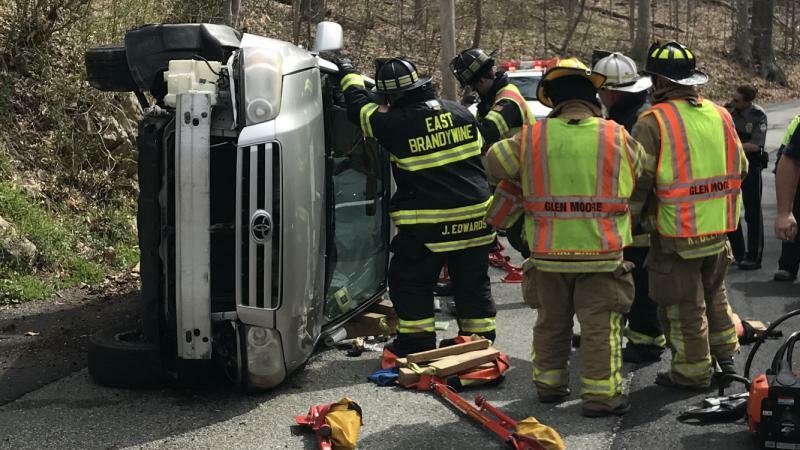 Engine 49-1 and Engine 48-1 arrived and personnel worked collaboratively to extricate the patient. 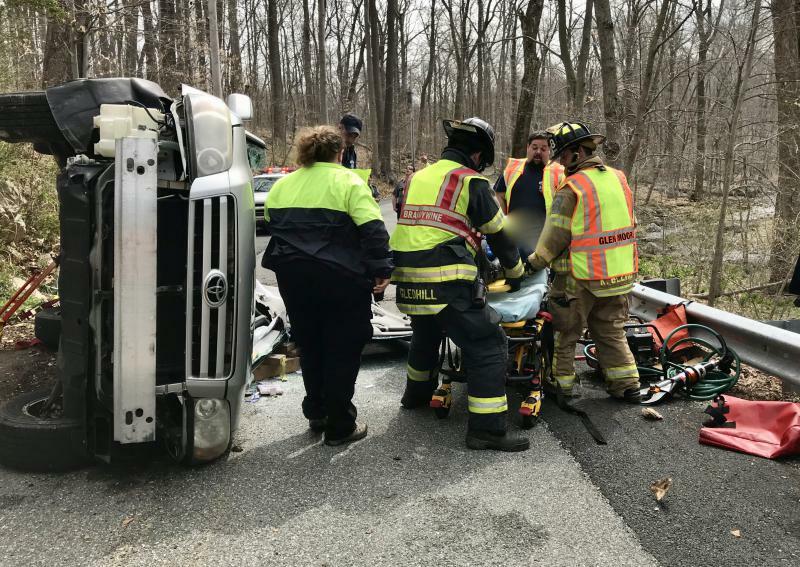 Medic 93 and Ambulance 144 provided patient care subsequently transported the patient to the hospital. Engine 49-1 was in service for a little under an hour.